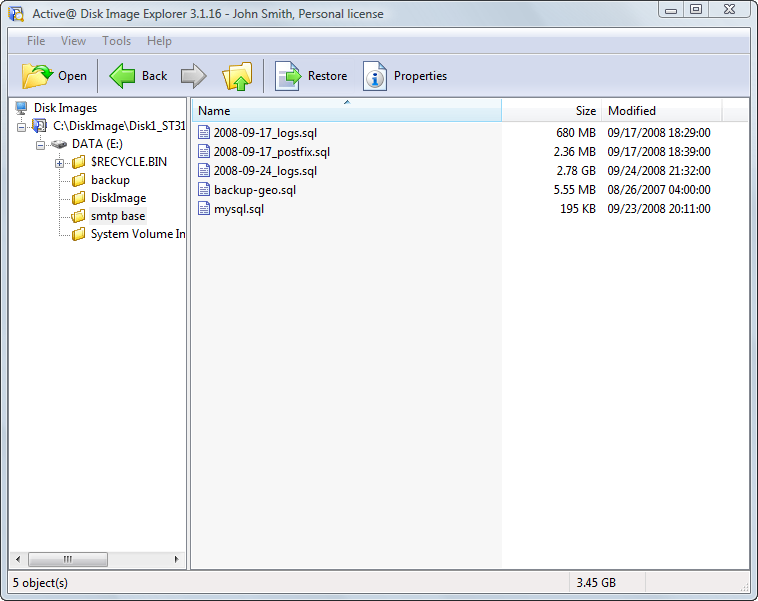 Active@ Disk Image Explorer is similar to the standard Windows-Explorer-style interface with a tree view panel on the left side and a list view panel on the right. A log view appears in a panel at the bottom. Here you may view all events executed by the explorer. In the tree view, you may open drives or partitions and select folders. View the contents of folders in the list view panel. To view additional information about a selected item, click Info.